Michael I .: Fished Ashurst Lake this morning (Saturday, Nov. 10). We caught two brown trout. A 15-inch brown caught on spoon slowly retrieved to shore. Also a 22.5-inch brown (photo) caught on silver Rapala. 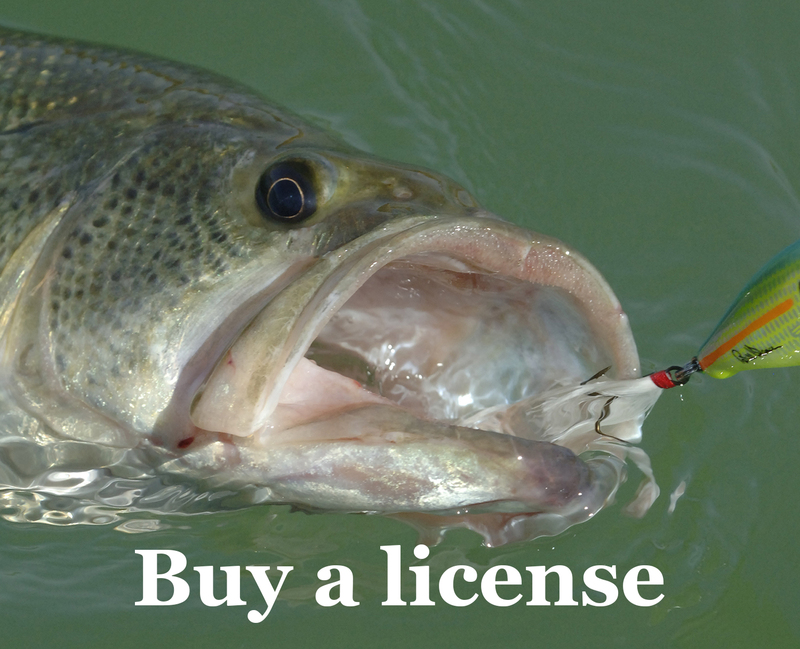 Both fish caught between 10 a.m. – noon. Had many browns following lures close to shore. 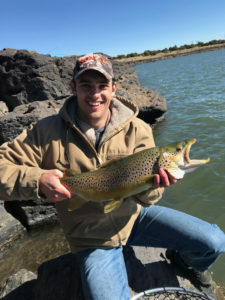 Editor’s note: AZGFD stocked about 5,000 brown trout into Ashurst last year primarily because we didn’t have enough rainbow trout available to restock the lake after it went from almost empty in 2016 to full and spilling in 2017. Brown trout stockings in Ashurst are pretty rare: Besides the 2017 stocking they were also stocked in 1949 (unknown size and number), 1972 (30,000 1-3 inches), 2012 (164 big 2+ lb fish). Cuthroat trout have been stocked more often than browns with stockings in 1943 (twice), 1987, 1989, 1990 and 1991. All of these stockings were smaller fish.